BOSTON—For Elizabeth Lowrey, principal and director of interior architecture at Elkus Manfredi Architects, you could say design is part of her DNA. 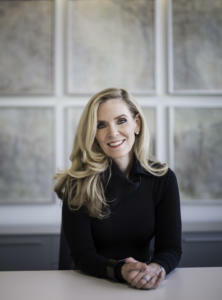 Her parents are both artists and designers and, as a result, she grew up surrounded by various forms of design. An interest in how people interact with the world led her to study interior architecture at Auburn University. Fast forward to today, Lowrey’s career is focused on “helping people make connections, be healthy, feel good, dream big, be proud and feel special.” She sees each new environment as a new opportunity. “It’s about the emotions that come from the users, whether they are guests in a hotel or the people who go to work there every day. It’s not about a trend or a style,” she said. For hospitality clients, Lowrey has conjured up a distinctive approach to design—“co-creation”—a process adapted from the firm’s work designing workplaces. Essentially, co-creation enlists the users of the space from the beginning of the design process as creative partners. Employees offer valuable insight as they’re the “experts” in the real-world experience of a venue, explained Lowrey. 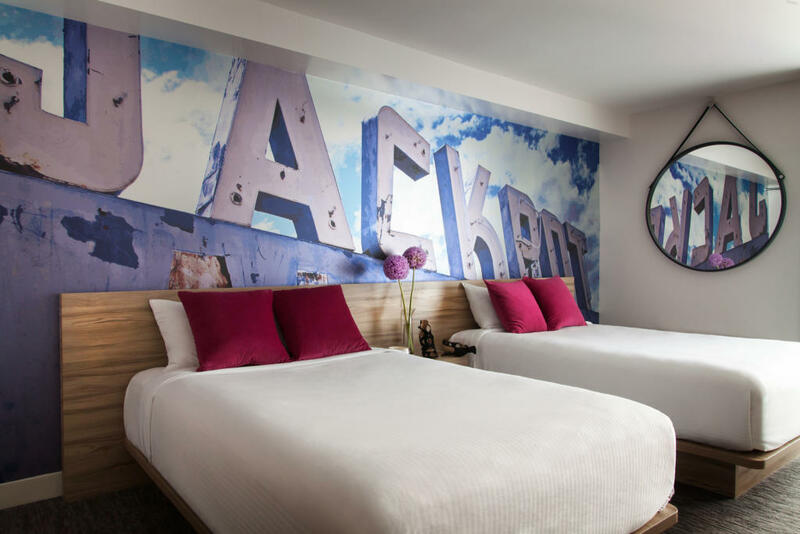 The LINQ’s 2,500 rooms each feature one of three custom-designed wall murals inspired by Las Vegas. 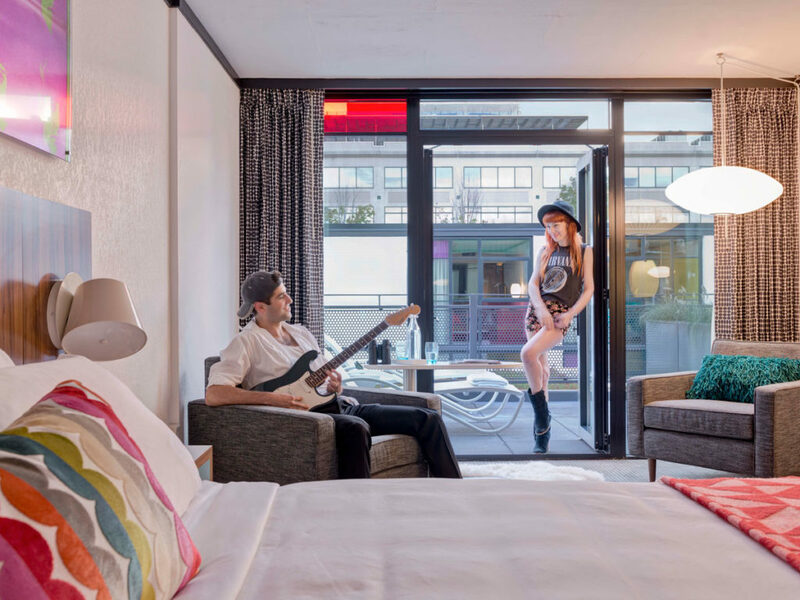 As a result of this collaborative effort, Lowrey has found that the process has furthered relationships among hotel owners, employees and their guests. “It results in great design and great loyalty, because everyone feels they have been heard, that their voices matter. Co-creation makes design relevant to everyone who has contributed,” she said. 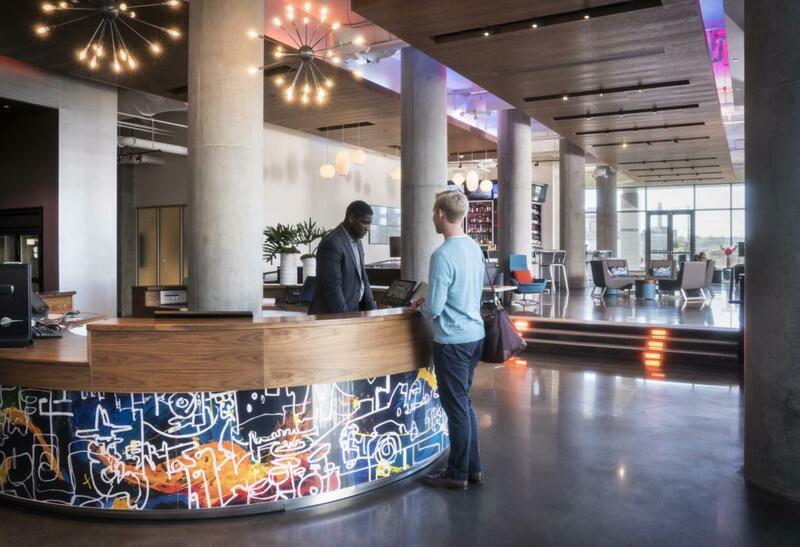 The large open lobby of the Aloft Boston Seaport Hotel provides a full range of options for unwinding and recharging. Every hotel brand appears to be looking ahead to the “guestroom of the future” and emphasizing guest experiences. Elkus Manfredi Architects is helping to create hotel projects that are useful now and beyond.